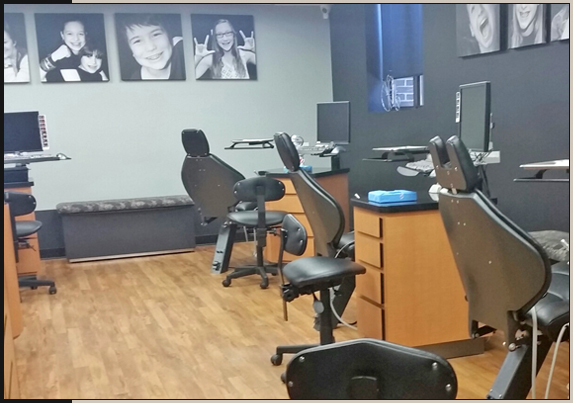 Optical Center combined with Optometrist practice. 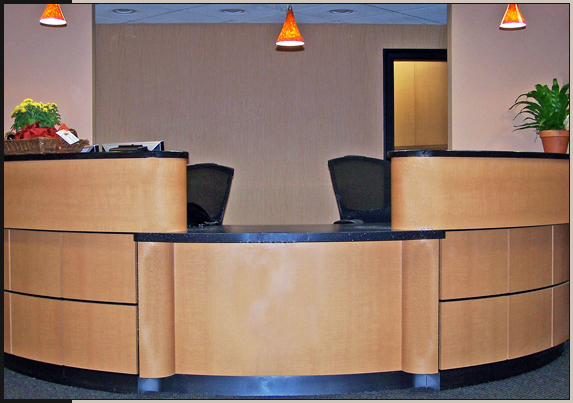 The curvilinear wood-look floor directs patients to the front office. The wood floor also serves to protect the carpeting. 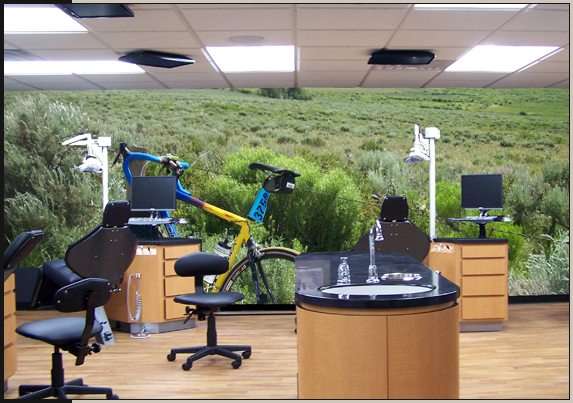 Ceiling soffits created above optical displays enhance the visual impact and add direct lighting. 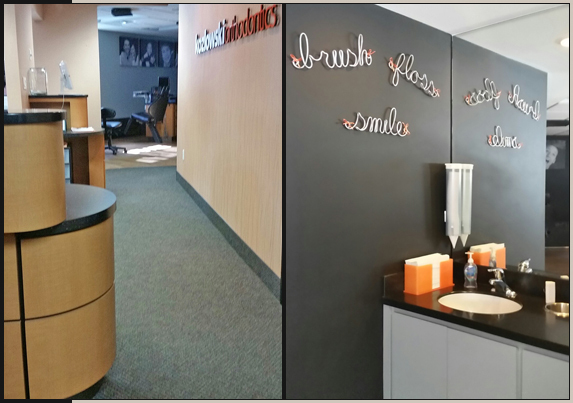 Custom oval mirrors inserted between display units finished the custom built-in look with cost saving measures. This space uses the same calming pallet as in the public areas. 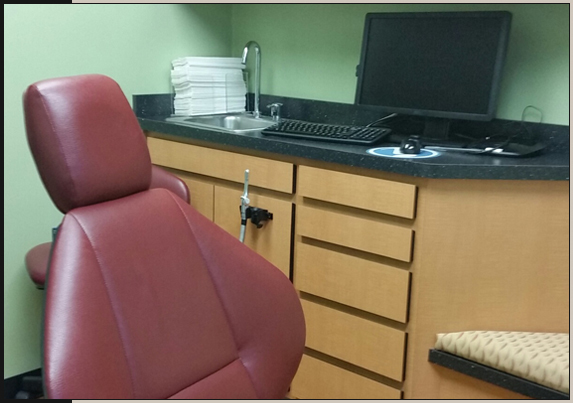 Optical exam room is state-of-the-art and utilizes indirect/direct energy efficient fluorescent fixtures. Notice our attention to detail; the door trim and vinyl base are the same color to maintain continuity. 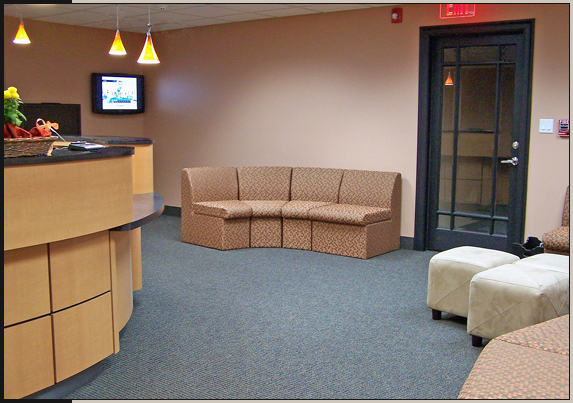 Waiting area was developed using the calming hues of gray-greens. The wood-look flooring separates the walkways from the seating and display areas.